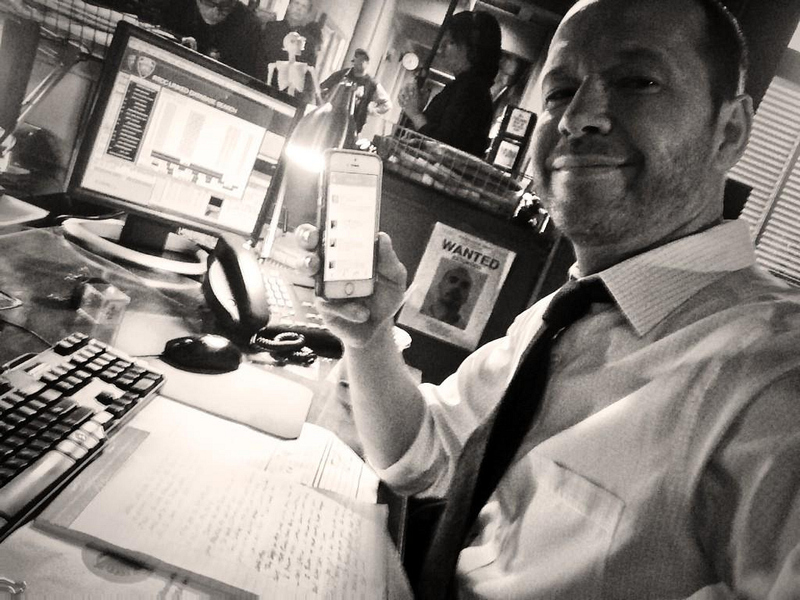 Twitter @DonnieWahlberg: Out of the cell & back at Danny Reagan's desk, sending #TWUG after #TWUG! More to come after this scene! Stand by!